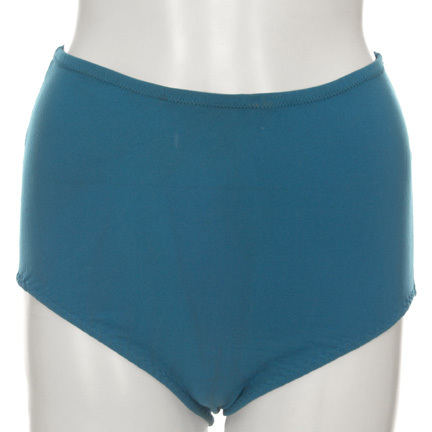 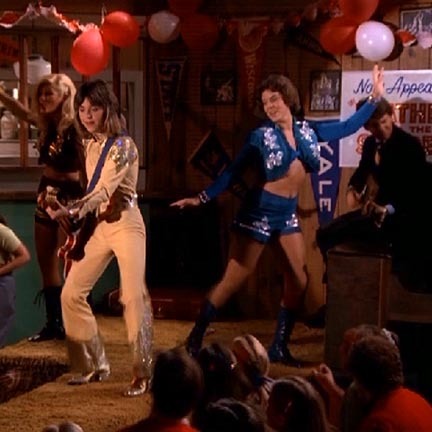 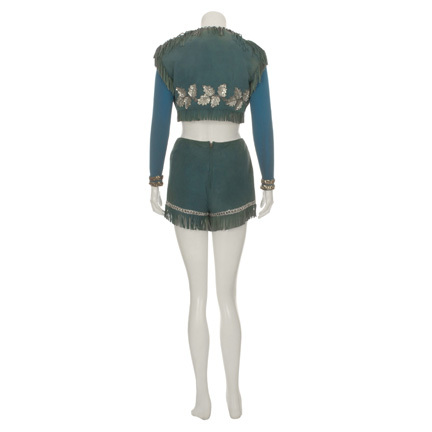 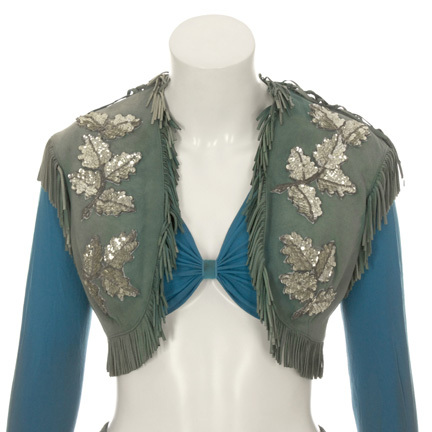 This blue cowgirl outfit was worn by the character "Joanie Cunningham Arcola" portrayed by Erin Moran in the legendary television show “Happy Days”. 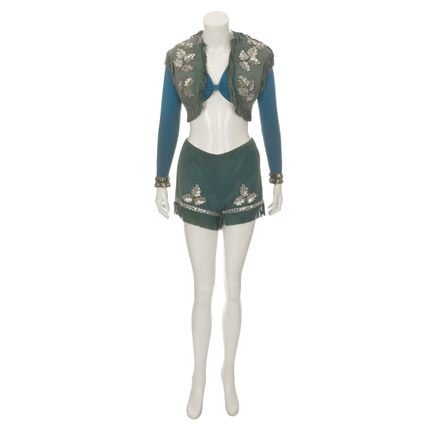 The costume was custom made for the actress’s use on the show and consists of a blue lycra top, and matching leather vest, and shorts. 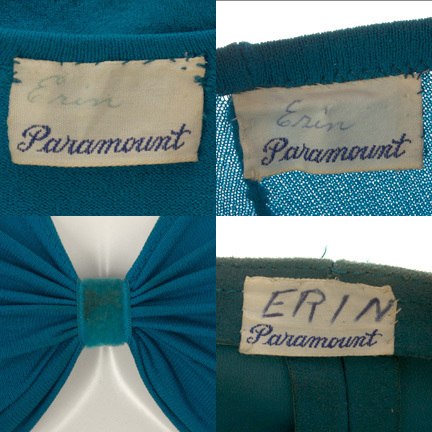 Paramount labels are sewn inside the vest and shorts and have the name "ERIN" handwritten in slightly faded blue ink. 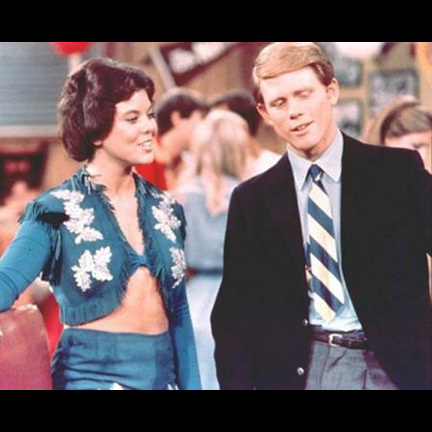 “Happy Days” ran from 1974-1984 and won 2 Golden Globes, as well as 3 additional awards & 16 nominations over the course of its impressive ten-year run. 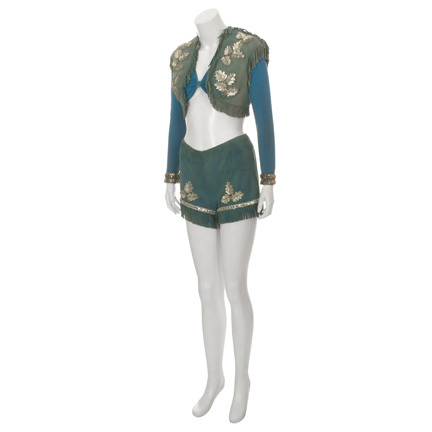 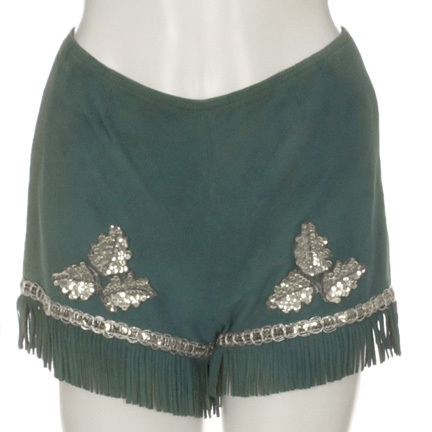 The outfit is in good screen used condition with minor fading due to age and is accompanied by a letter of authenticity from the motion picture costume house.